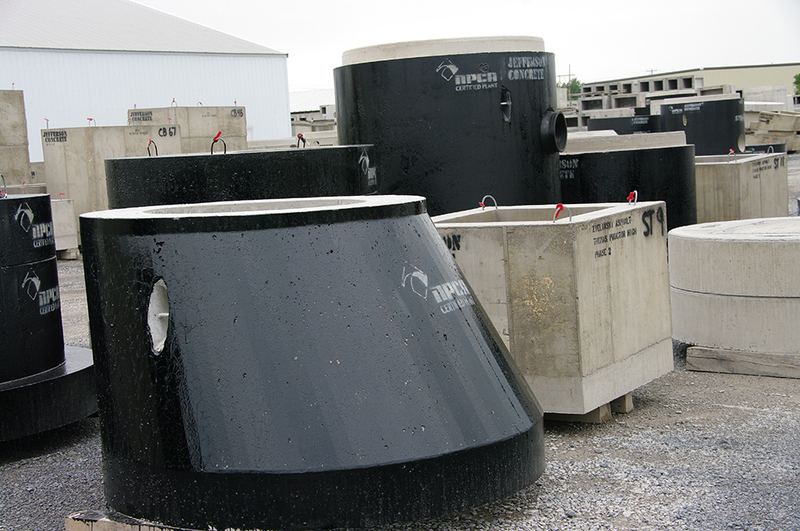 Precast concrete manholes are an integral component of any modern sewer system. Precast concrete manhole sections are produced in a controlled environment, thus exhibiting high quality and uniformity. A properly designed and installed precast concrete manhole system provides superior watertight performance and will provide the long-term solution you need. The underground utility construction industry has come to rely on the proven performance and versatility of precast concrete utility structures. Standard vault designs are readily available, while custom vaults can be designed with the assistance of your local precast concrete manufacturer.